What is the value of visitor segmentation for e-commerce business? Segmentation allows you to take a deeper dive into visitor behavior by using analytics data. It helps e-commerce businesses to get a complete picture of their target audiences and use that information in their marketing activities to grow sales and customer loyalty. Ecwid stores support integration with various analytics solutions that differ in their practical focus. In this post, we’ll take a closer look at the Convead marketing platform that, in addition to providing general website analytics, keeps track of visitor behavior and allows you to segment them by various types of events and characteristics. What kind of information is there? 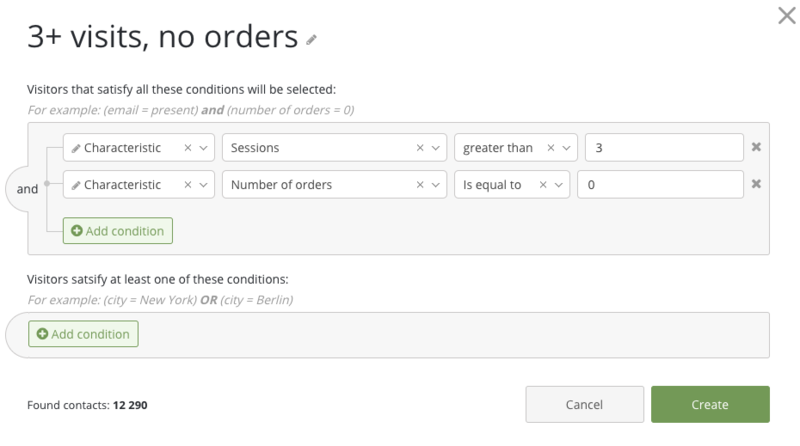 For any segments of visitors, even the most specific ones, there are detailed statistics such as the number of orders, the average order value, and the total amount of purchases made within the group. You can also see where these people come from, when and how often they visit your store, and what products they are interested in. 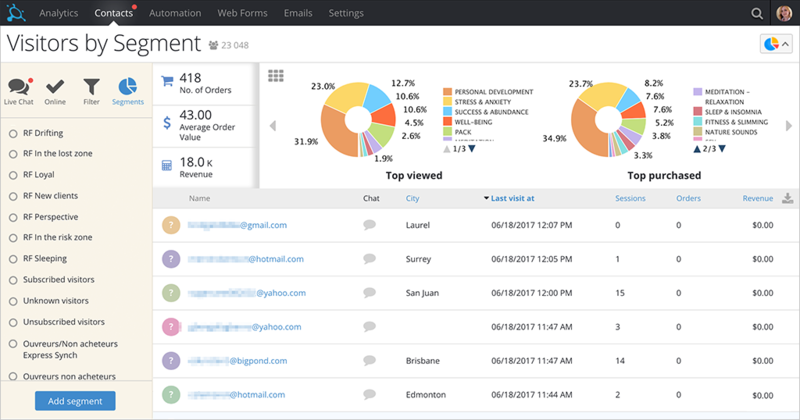 Convead generates real-time reports for each segment of visitors, prospects, and customers. For example, you can easily determine what product categories are most viewed or purchased, in what regions, and from what platforms or devices. Now, let’s see what you can do with all of this information to get more value for your online business. 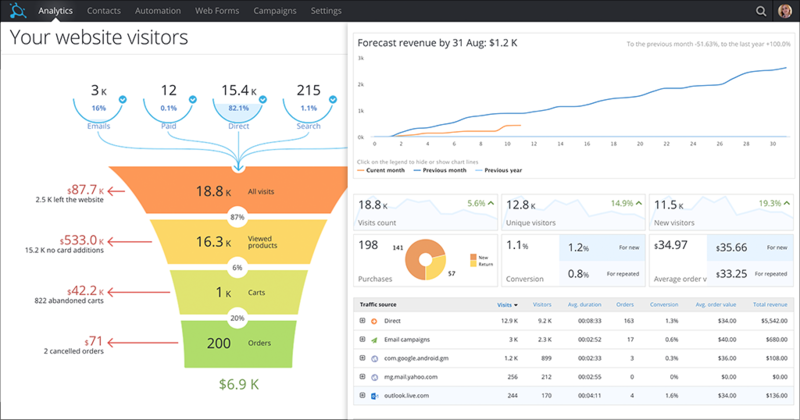 In addition to the metrics, Convead will also display a sales funnel. This is a visual representation of the buying process for the chosen segment, starting from the traffic sources and a ending with the purchase. Depending on your marketing goals, you can create segments according to various types of visitor behavior (e.g. bought N times, viewed products but did not buy, no visits for the last 3 months, etc.). For example, if people were in your online store several times but didn’t purchase anything, we can assume that they could not make a decision and, perhaps, needed some help or additional incentive from you. It is possible that they are studying products and are not yet fully confident in them, or the website content wasn’t helpful enough. Think about publishing or sending out some tips on how to choose the right product or how to use it properly. You can, for example, ask visitors to provide their email address in exchange for an ebook, video guidelines or a free webinar. This is one of the simplest things to do in Convead. 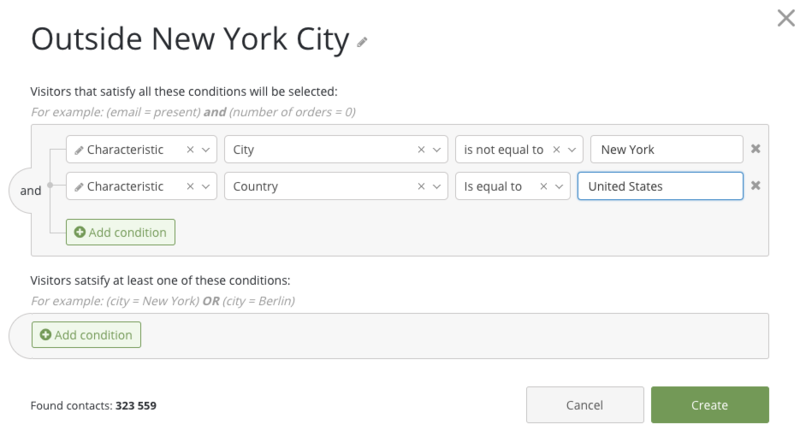 You can single out your audience by their location to offer them, for example, special shipping conditions. Those groups may include regular shoppers or those who recently made a major purchase, or just people spending a lot of time viewing your pages, etc. You can show them relevant messages with special offers, discounts, secret sales, or an invitation to join a loyalty program. If you have a blog or a regular newsletter, you can invite new visitors to subscribe. 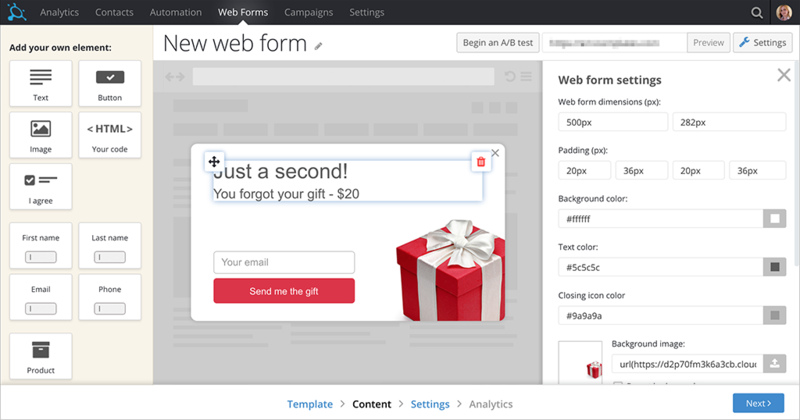 You can identify people without email and show them a message with the invitation. 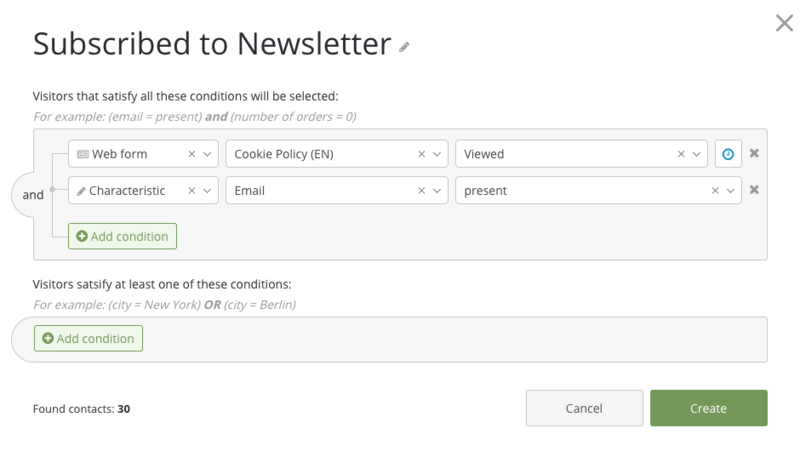 Once the emails are gathered, you can create another segment, for those who subscribed, and send to them your blog updates or any other useful information. 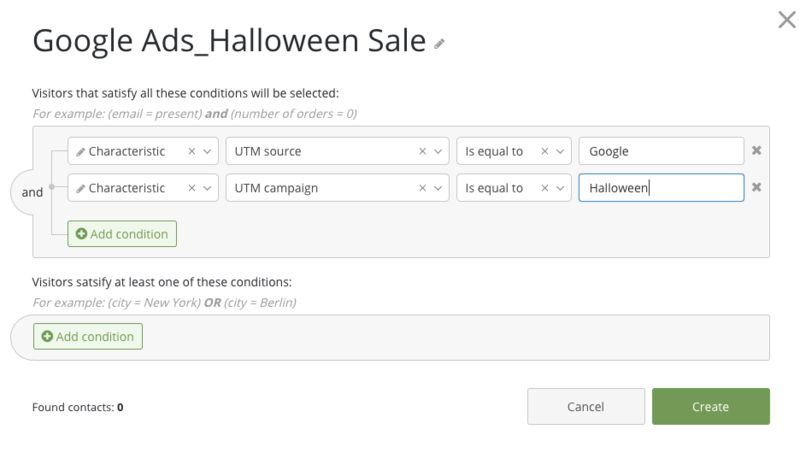 You can track customers who abandoned their carts and manage unfinished sales directly in Ecwid, since this feature is available for all Ecwid stores on the Business plan and higher. With Convead’s segmentation tools, you can also divide these customers into more specific groups (by gender, location, viewed product categories, etc.) and prepare a relevant offer for each group. Ask your visitors whether they want to be notified about the availability of a certain product in your stock. This will allow you to achieve two goals at once — get more emails and create a segment of good prospects. This is one of the most pleasant ways of using the power of segmentation. 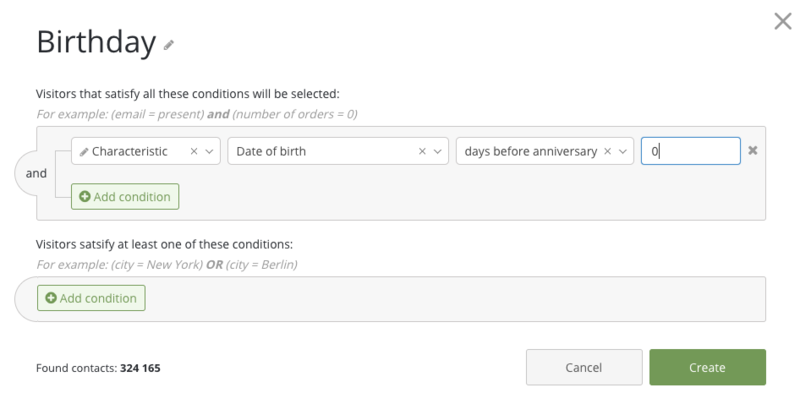 Ask for your customer’s date of birth upon registration and set up a triggered email campaign based on this data. People will be pleased to receive your greeting with gifts and special offers. It will definitely help you to win their loyalty and attention. Segmentation is a handy tool that can be used for a variety of purposes. It will help you to develop a deeper understanding of your customers and to offer products at the right time and to the right person! If you do not yet have a Convead account, create it now to try out these marketing ideas or to implement your own. Convead analytics is free and marketing tools are available by subscription. Maria is a marketer at Convead with a passion for writing. She loves to explain difficult things in the simplest manner possible.